Pressure Drop - Feb 5 Update: Will Tapio EVER Get Around The Horn? Who keeps getting closer, it gets complicated. Istvan Kopar Solo Circumnavigator has a lot of food on board. It is strong and, although it faces many small problems on board, nothing seems to hinder the navigation capacity and speed of its boat. Its rigging, sails and navigation are correct. Not sure about these barnacles but I'll know more this week. He's able to navigate well. His management system remains a potential problem, but right now, it's all right. Now it's only 465 miles behind. The Black pot closes as it approaches, so it should not waste time and probably pass through directly to the North-East Alizées. The two sailors could then be just 450 miles from each other. So anything can happen again. 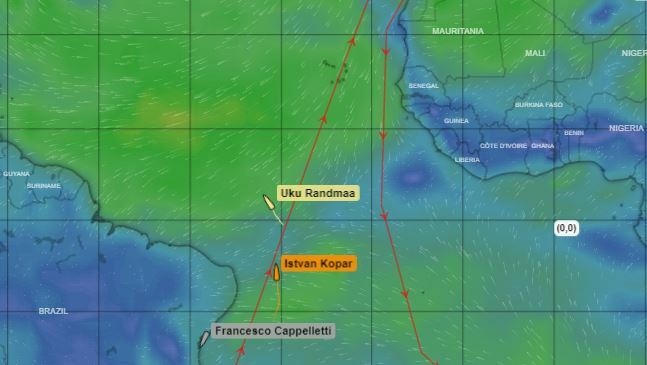 This will be a real sailing race for the next two weeks, maybe even boring? But opportunities and tactics remain possible. Its radio does not work well at all and radio-amateur operators work hard to maintain an affair so that it can at least obtain basic weather forecasts. This could become critical in view of its ability to navigate properly when looking at the anticyclone of the azores and when it comes closer to the bay of biscay. Maybe it could change everything... good luck to both of you! 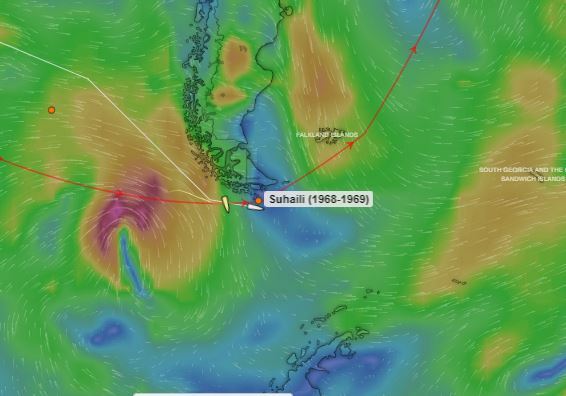 Tapio Lehtinen Sailing enjoy the sun for now, light winds and making only 2,4 knots at the final approach of Cape Horn 125 miles away. In About 6 hours, the northwest wind will return to 25-35 knots and remain stable. So we hope to celebrate tapio by tomorrow night. He called yesterday to report a possible problem with his unit text message unit and we are now trying to find a solution.